There are different types of carriers, and each of these has its benefits that suit various kinds of parents. Front carriers allow parents to put on their babies on their chest. Since the infant is near your chest, it becomes more body warmth and comfy. Additionally, there are slings with a wide fabric that’s worn over one shoulder and across the torso. These slings can include or without padding and adjustment rings. It is exceedingly comfortable for mothers that are breastfeeding because of its loose fit and wide fabric which makes it possible for moms to feed carefully. This ensures that the infant’s weight is evenly distributed over both the shoulders. The benefit of them is that when the infant grows up a few months older and can sit correctly, parents can confront them outwards to face the world. Some are also designed to permit parents to wear them on their back when the infants get heavier, and it becomes hard to carry them ahead. There are various varieties of them, even within this design which arrive with little alterations for the convenience of different kinds of parents. Some carriers have additional pouches and diaper bags attached, so to match all of the things that you need while caring for infants. 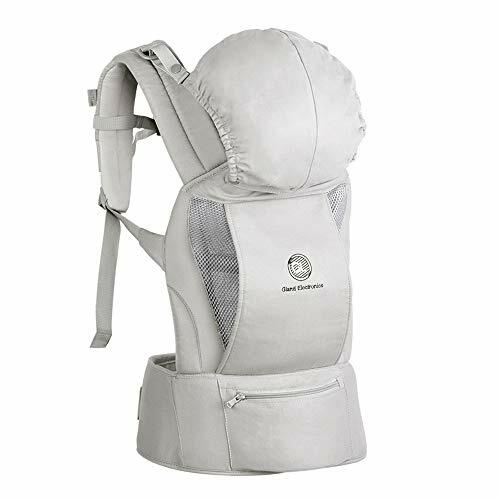 For parents who enjoy trekking or hiking, you will find carriers specially made to give you more freedom while climbing and engaging in all of the active pursuits. ✅ ALL SEASONS - An adjustable temperature-regulation panel allows you to easily control the temperature and keep baby and mom or dad cool or warm depending on the situation; zips-up for warmth and zips-down to reveal cool, breathable, 3D mesh. You'll absolutely love this function! 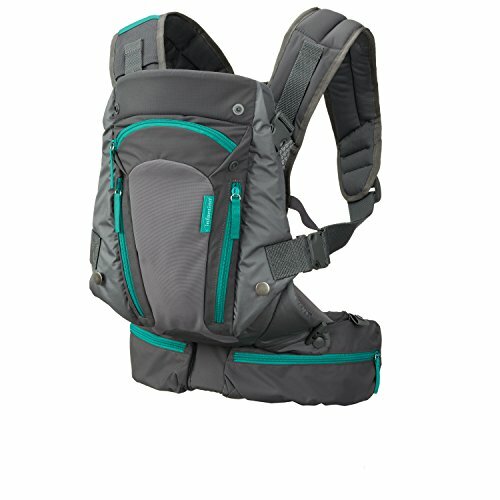 You can save money with the Universal, because it's appropriate all throughout the year so you no longer need to buy both regular and cool mesh baby carriers. ✅ 6 ERGONOMIC CARRY POSITIONS - The structured bucket seat adjusts to keep your baby ergonomically seated in every development stage, starting from DAY 1 through all the baby wearing years. Ergonomic positions include: Front-Newborn, Front-Infant, Front Facing Out, Front-Toddler, Hip and Back. 360-degrees of options for your baby to face! No extra infant insert needed for newborn babies. ✅ UNIVERSAL ERGONOMIC FIT - The patent pending adjustable seating position and ergonomic bucket seat perfectly adjust to your growing baby, and enable your baby to be seated in an optimal natural "M shape" position from newborn to toddler (7-45 lbs). The Universal carrier has been acknowledged as a "Hip-Healthy" product by the International Hip Dysplasia Institute. Our ergonomic design and multiple adjustments provide a universal and perfect fit for your entire family. ✅Strengthen Breathability --- Waistband and front panel feature 3D enhanced honeycomb design,The baby is comfortable and sweat-free in spring and summer. ✅Comfortable Hip Seat --- Hip Seat with environment-friendly eep foam keeps baby ergonomically seated in all positions,Does not affect your baby's skeletal development and blood circulation in the legs. 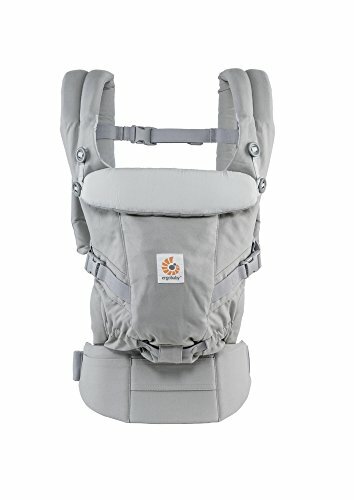 ✅The Maximum Comfort for You and Your Baby --- This product has a large padded waistband to provide the support you need to maintain a healthy posture，And there are 6 ways to carry，When you carrying your baby, it ensures the maximum comfort for your back to prevents back pain, also provides the maximum comfort for your baby. 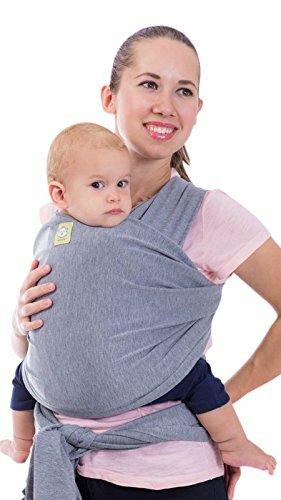 ERGONOMIC DESIGN: Ergonomic Design helps disperses baby's weight, plus, with the widened and thickened shoulder strap that can relieve mother's shoulder pressure, it makes mommy more comfortable and relaxed. 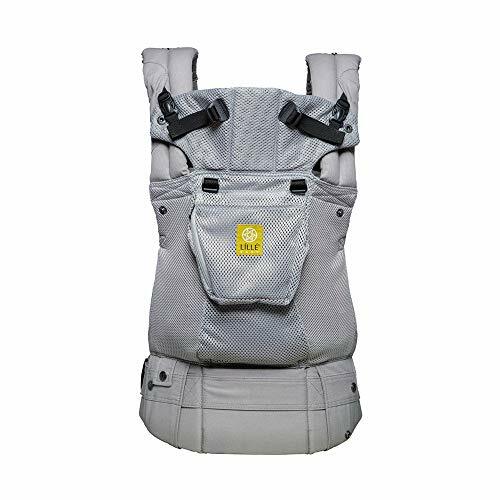 SAFE AND SECURE: Adopt the back strap and two-fold drop-proof fastener to prevent the shoulder strap from slipping off the shoulder, offering your baby a better protection. 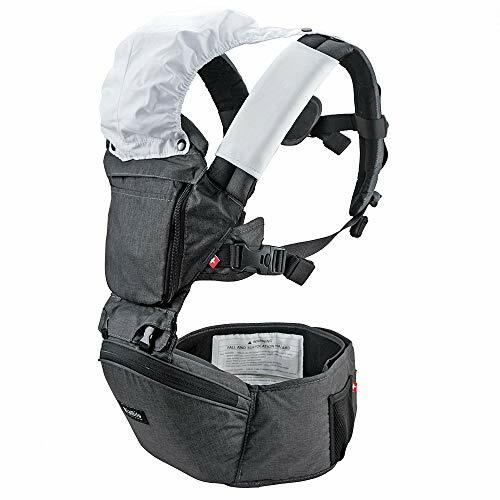 The foldable backplate assists in protecting your baby's head and neck. Besides, the M-shaped sitting posture helps to protect your baby's hip bone development without affecting its blood circulation. COMFORT AND EASE: The soft and breathable mesh fabric will keep your baby's skin dry and comfortable but not cause any damage.The hip seat is adjustable so as to provide the most comfortable posture for the baby, besides, the foldable hoop will protect your baby from wind and sun.  JUST THE RIGHT STRETCH - Our baby wrap carrier is specially designed using stretchy yet sturdy fabric so that baby's weight will not be straining to your tired back & shoulders after long period of usage. The right amount of elasticity also keeps your baby safe and snug in the wrap without having to constantly readjust the wrap. 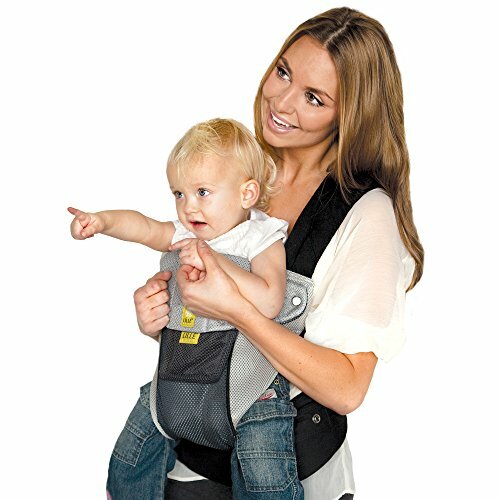 Easy to use for new baby wearing moms!  ONE SIZE FITS ALL - Our ergonomic baby carrier wraps around your body perfectly no matter what size you are! For smaller size mommies, you may loop the wrap to the front and tie it. For bigger size mommies, you may tie the wrap at your back, depending on your comfort. Tried & tested by mommies of all sizes! It is ergonomically designed to distribute weight evenly while you stay hands free. 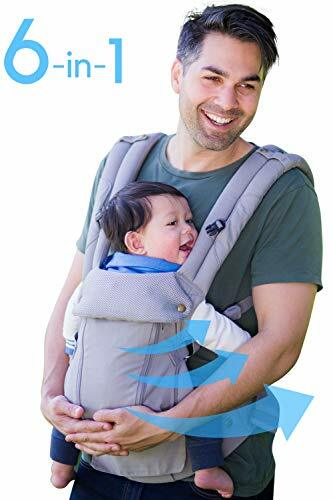  NO MORE FUSSY & CRYING BABY - Suited for use from newborn all the way to 35lbs, our baby wrap carrier helps you to calm and soothe baby easily by being held close to you. No more tired arms & shoulders! You can even breastfeed conveniently while babywearing your little one! ERGONOMIC 6-IN-1 BABY CARRIER WITH HIP SEAT: BabySteps baby carrier allows you to carry your infant or toddler in any position that suits your needs: Front inward (at least 3 months), front outward (at least 6 months), single strap carrier(at least 3 months), hip seat (single use) and back carry (at least 6 months). FITS ALL SHAPES AND SIZES: The waistband is adjustable to a maximum of 48.8''/124cm. Suitable to be worn by all statures for carrying your baby from 3 months to 36 months, between 8 and 44lbs. 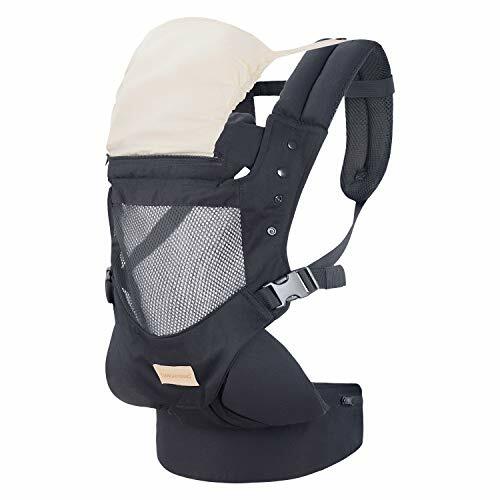 SECURE,COMFORTABLE FOR ALL: Built in ergonomic designed hip seat allows baby to be in a natural sitting position and evenly distribute the weight between carrier's hip and shoulders. 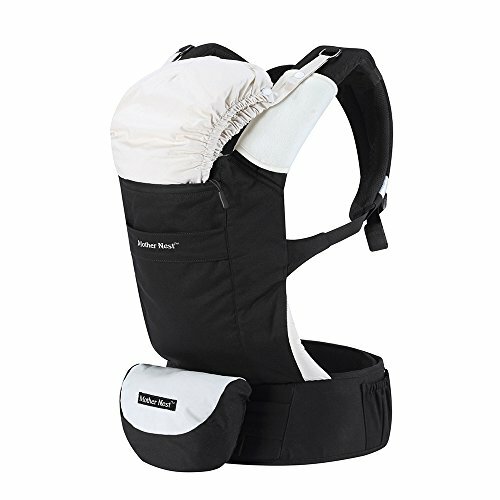 Hip seat carrier is equipped with back support and foldable head support to ensure baby's smooth breathing when facing outward. 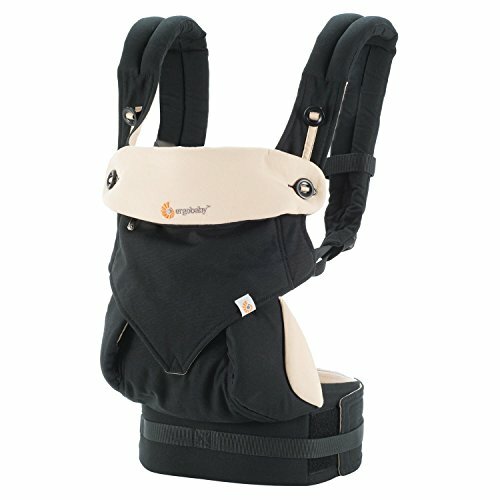 NEWBORN TO TODDLER: Adapts to your growing baby from ~0-48 months (7-45lbs), no extra infant insert needed for your newborn. 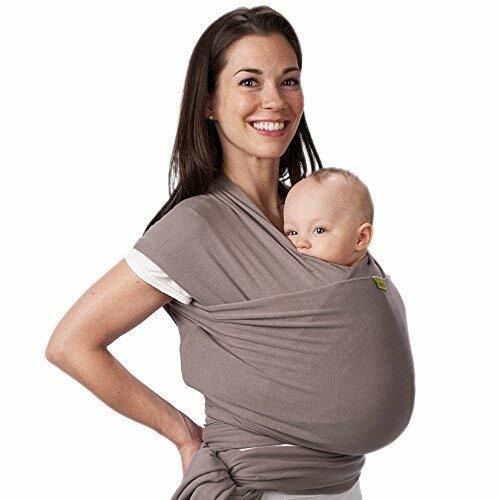 MULTI- POSITION CARRIER: Wear on the front, back or hip, as baby grows. COMFORT: Exceptional lower back comfort with padded lumbar support waistbelt & extra padded shoulder straps with the option to wear 2 ways: crossed or “backpack style”. Waistbelt can be worn high or low to maximize comfort, especially post C-section. COMFORTABLE & ERGONOMIC: Adjustable bucket seat supports your baby in a natural "M" position facing in or out in all carry positions as baby grows. 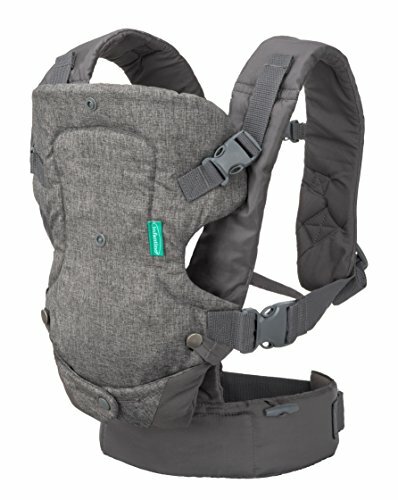 NEWBORN TO TODDLER: Carrier fits babies ~4-36 months (12-33lbs) without an infant insert and ~0-4 months (7-12lbs) with the insert (sold separately). COMFORTABLE FOR YOU: Wide wraparound waistband maximizes comfort especially post C-section and provides lower back support. 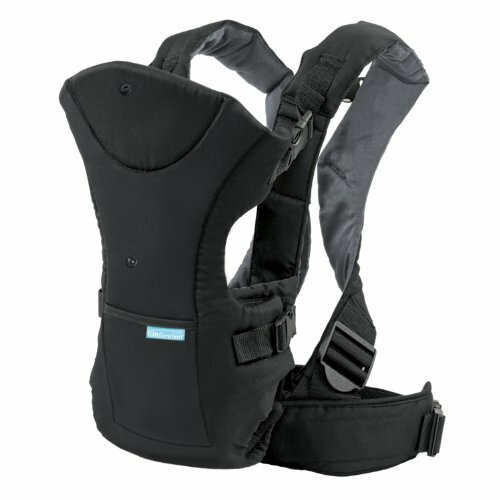 ALL-IN-ONE CARRIER: Adapts to your growing baby from newborn to toddler (~0-48 months/7-45lbs). All carry positions included, face baby in or out, wear on the hip or back. Large storage pouch included. The only carrier you need. COMFORT: Exceptional lower back comfort with padded lumbar support waist belt & extra padded shoulder straps with the option to wear 2 ways: crossed or "backpack style". Waist belt can be worn high or low to maximize comfort, especially post C-section. ERGONOMIC AS BABY GROWS: Acknowledged as hip healthy by the International Hip Dysplasia Institute. Adjustable bucket seat supports baby in an ergonomic natural "M" position in all carry positions. SIX POSITIONS: The LÍLLÉbaby COMPLETE baby carrier combines all essential features, including lumbar support, in 1 light-weight carrier with 6 ergonomic positions for "360 degree" carrying: Front: fetal, infant, outward & toddler; Hip carry; & Back carry. VERSATILE CARRYING: With our two-way straps allowing you to carry backpack style or forwards, large zippered storage pocket, removable sleeping hood & extendable torso, the LÍLLÉbaby Complete Baby Carrier provides comfort & support for you and your child. 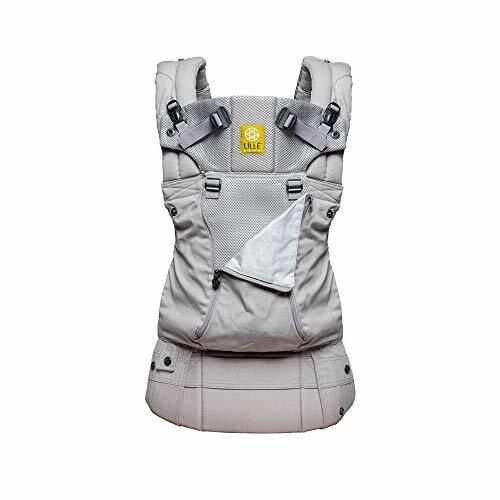 HANDS-FREE COMFORT: Whether you're hiking a trail or walking your dog, LÍLLÉbaby's baby carriers and toddler carriers let you carry your child in comfort and style, and the adjustable side panels widen or narrow the seat for comfortable hip positioning. 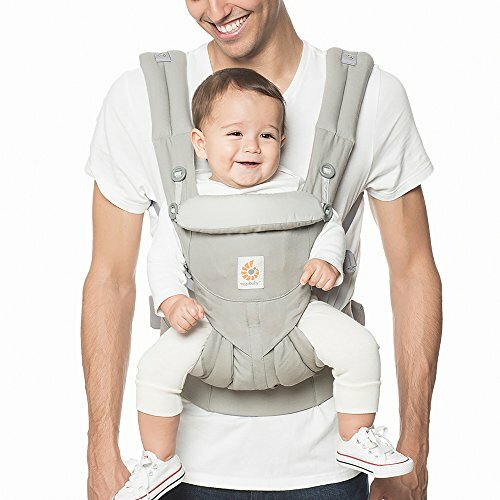 ERGONOMIC: Perfect baby carrier for newborns and infants. Supportive, lightweight, and ergonomic for both parent and baby. One of a kind lumbar support. 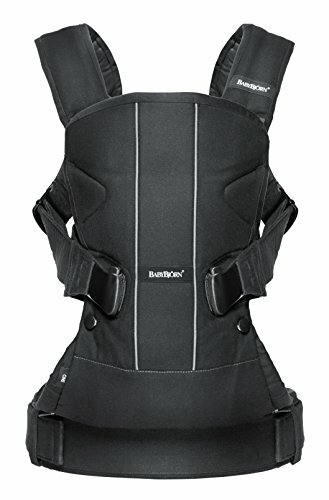 No infant insert required COMFORT: Voted most comfortable baby carrier, from newborn to toddler. Made of 100% cotton and breathable mesh for maximum air circulation. 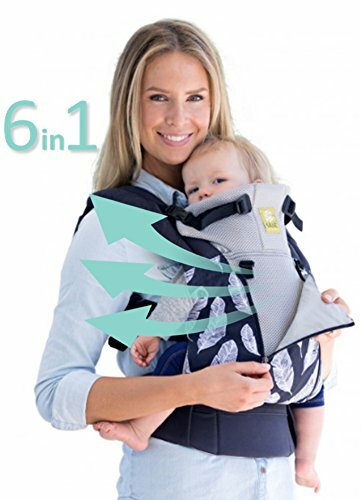 MULTI POSITION CARRYING: Six (6) carrying positions for babies from 7 to 45 lbs. 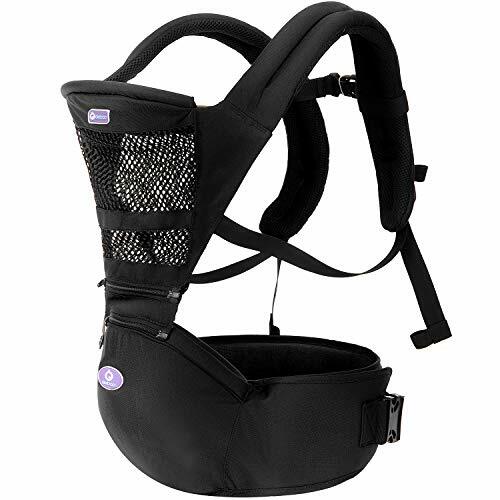 Front inward (fetal, infant, or toddler settings), front outward, hip or backpack carry options all in one. 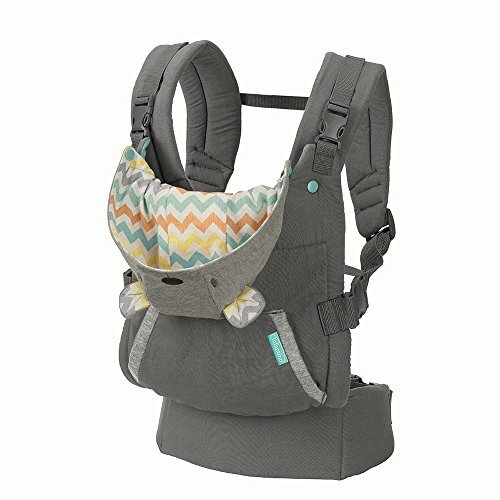 SIX POSITIONS: The LÍLLÉbaby COMPLETE Airflow baby carrier combines all essential features, including lumbar support, in a comfortable lightweight carrier with 6 ergonomic positions. Made of 100% cotton and breathable mesh for maximum air circulation. VERSATILE CARRYING: With our two-way straps allowing you to carry backpack style or forwards, large zippered storage pocket, removable sleeping hood & extendable torso, the LÍLLÉbaby Complete Baby Carrier provides comfort & support for you and your child. 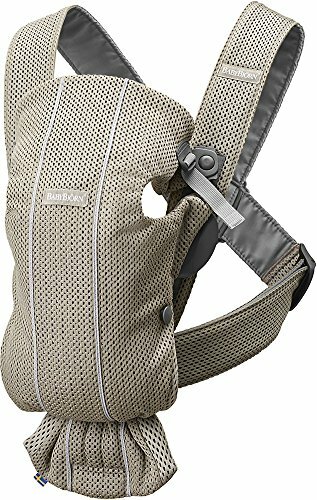 HANDS-FREE COMFORT: Whether you're hiking a trail or walking your dog, LÍLLÉbaby's baby carriers and toddler carriers let you carry your child in comfort and style, and the adjustable side panels widen or narrow the seat for comfortable hip positioning. 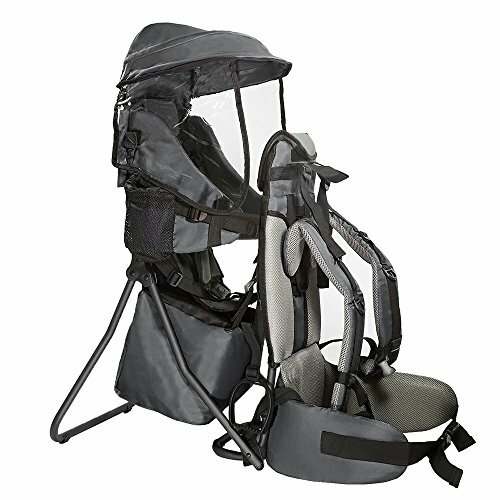 Front and rear facing baby carrier designed for babies approximately 8-35 lbs. 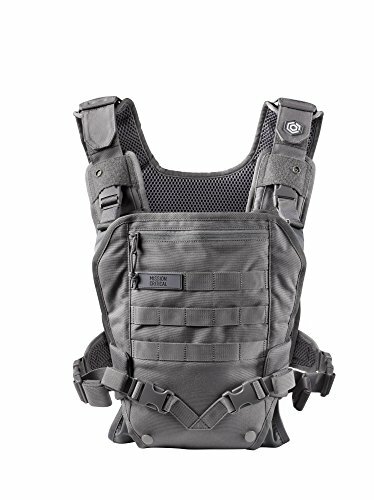 Multi-pocket interior with fully customizable MOLLE front and back panel. Comfortable, ergonomic design for even weight distribution and maximum back support. PREMIUM SWISS QUALITY - Safety is our top priority therefore we only use PREMIUM materials like self-locking YKK zippers and Duaflex buckles. Our shoulder strip was designed with a 3-way lock buckle for extra security and 3D ADJUSTABLE system, to easily adjust the fit from front and back. FITS ALL SHAPES AND SIZES - Tall or short our carrier will support your baby from 3 months to 3 years ( until they weigh 40 lbs. HIPSTER Plus is a versatile ergonomic baby backpack that allows you to carry your baby 9 different ways (including front, forward facing, back, and hip carry positions). ELIMINATES BACK PAIN AND RUBBING - Built in ergonomic hip seat hip seat carrier provides maximum comfort for parents with ergonomic design, which allows weight to evenly distribute between the wearer's hips and shoulders and allows baby to be in a natural sitting position at all times. 100% Cotton, Machine washable - gentle and healthy material for baby intimate, great for winter gift Christmas gift. Easily holds up to 33 lbs - wide and padded waist belt and shoulder straps to help distribute weight evenly and relieve shoulder pressure. 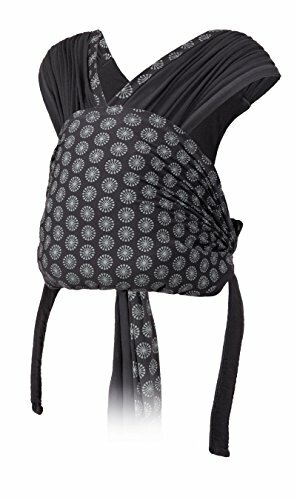 Double-layer removable sleeping hood and washable drool pads - gives care for sleeping baby and protects clothe from dribbles.